Breast cancer is the most frequently diagnosed type of cancer and the second leading cause of cancer death in women after lung cancer. It is estimated that breast cancer affects more than 1,000,000 women worldwide each year, and about 450,000 die from the disease. During the last decades, breast cancer has received considerable attention, yet it is a very old disease that was described years and years ago. 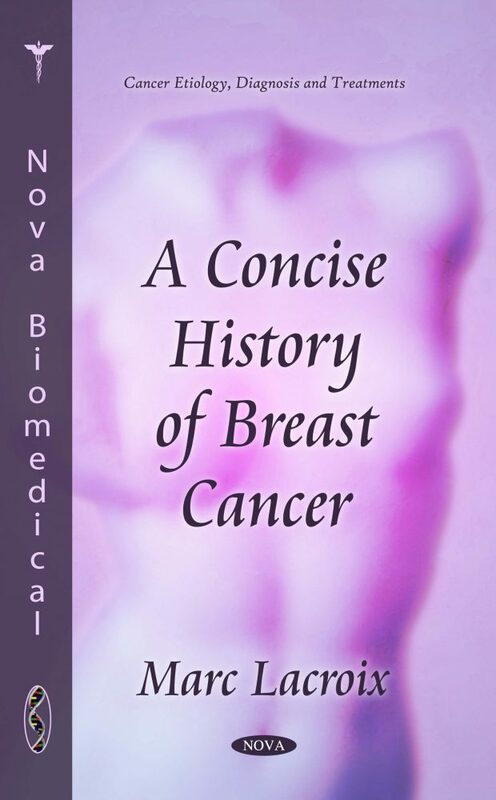 This book provides a summary of breast cancer history. It covers the ages from the ancient times to the early 2000’s, but mainly focuses on the 20th century and its numerous discoveries and inventions in the field of breast cancer detection, analysis and treatment.